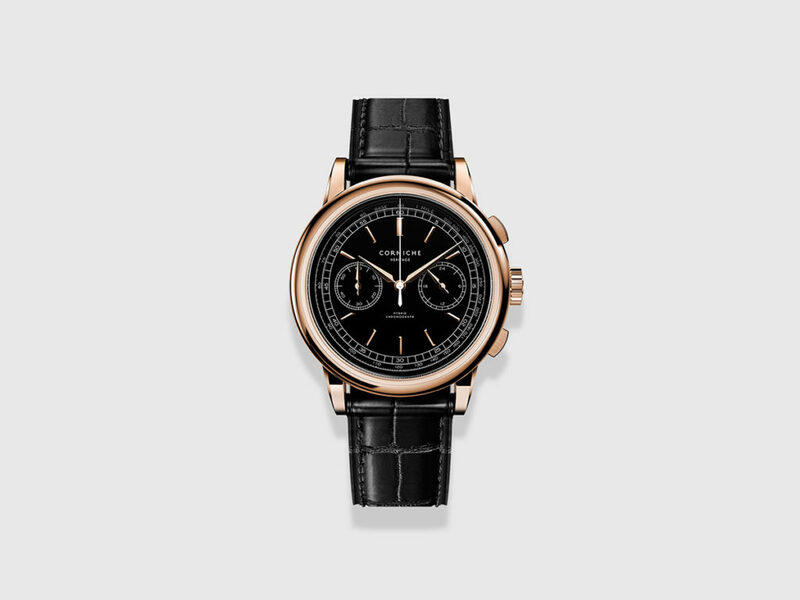 An impressive value for a classic design, with well-balanced proportions and a gorgeous ceramic dial. 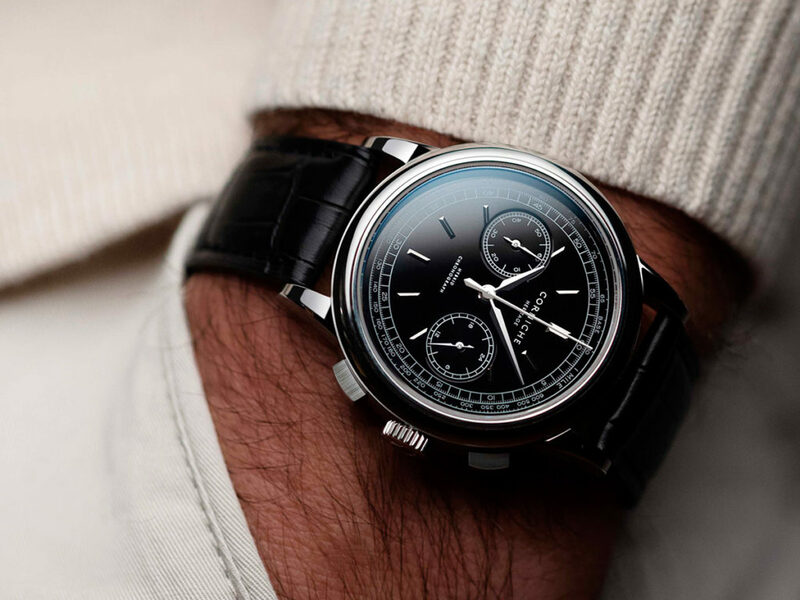 It’s rare to see a truly classy dress watch from a microbrand these days; many are just too bulky or awkwardly proportioned. 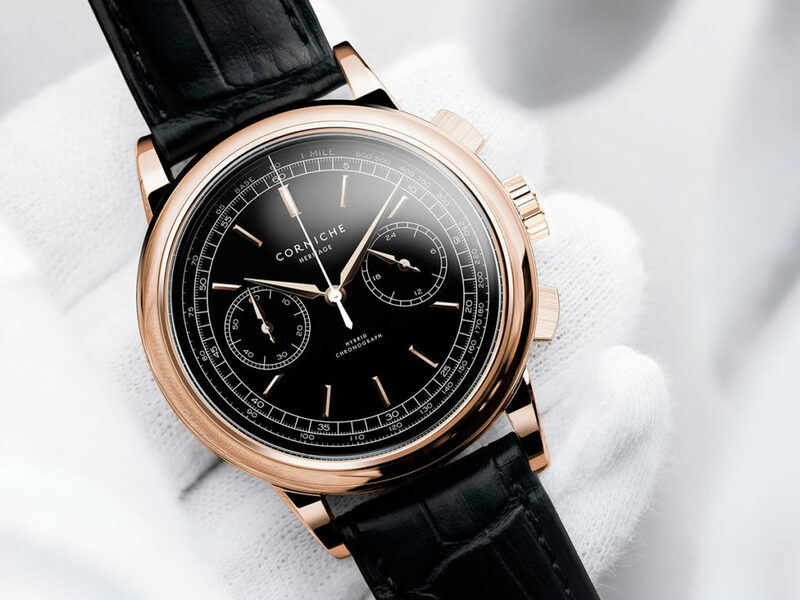 That is not the case with the Corniche Heritage Chronograph, which might just possess the perfect proportions and dimensions (39mm x 11.5mm) for a modern day dress watch with a complication. 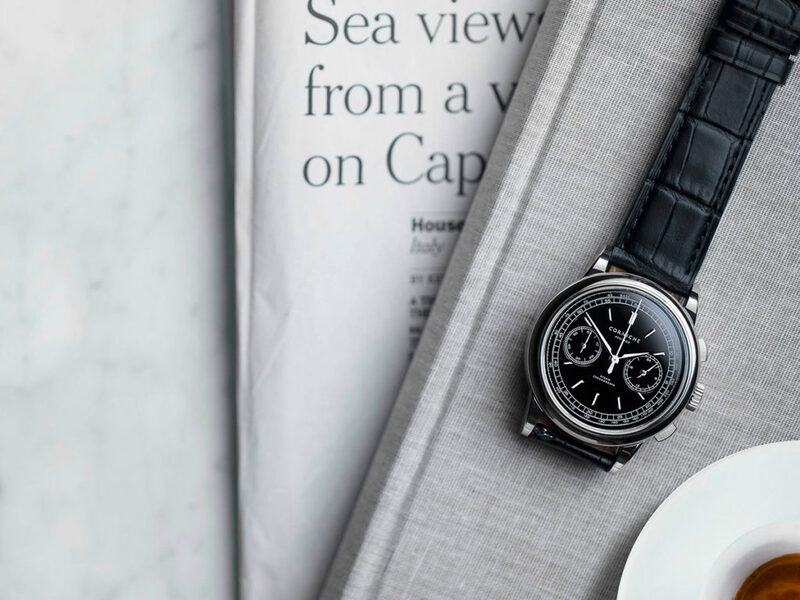 Perhaps this is because the watch borrows a bit too much from a classic (with an uncanny resemblance to a certain type of luxury chronograph from Germany). 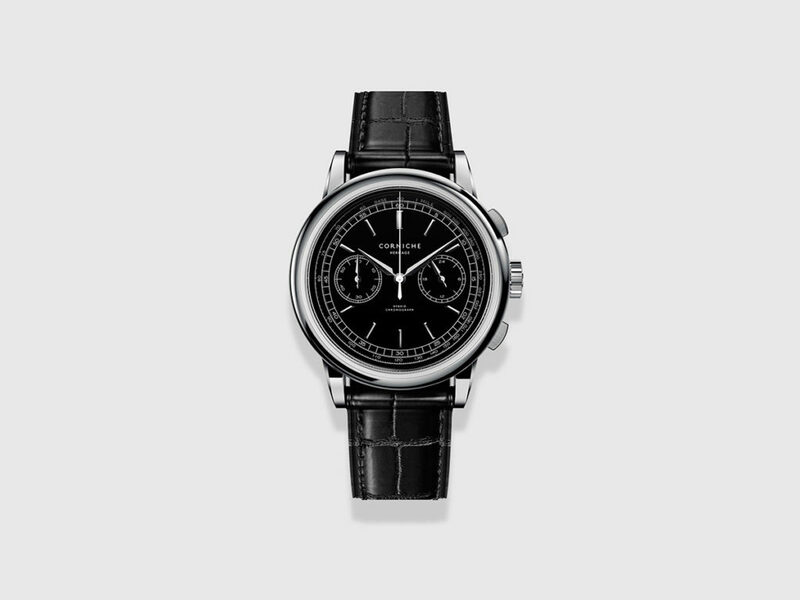 But with that price, there’s no denying that it’s an impressive value for such a classic design, so we’ll let it off the hook. 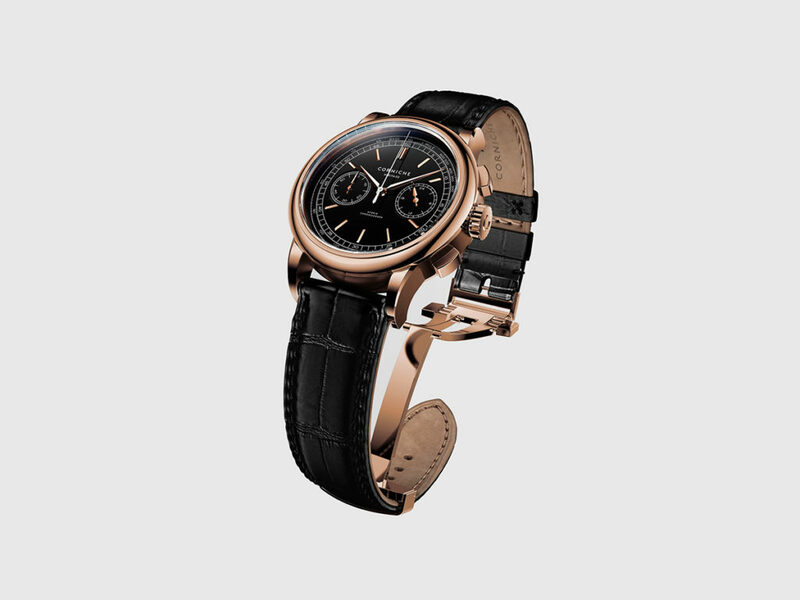 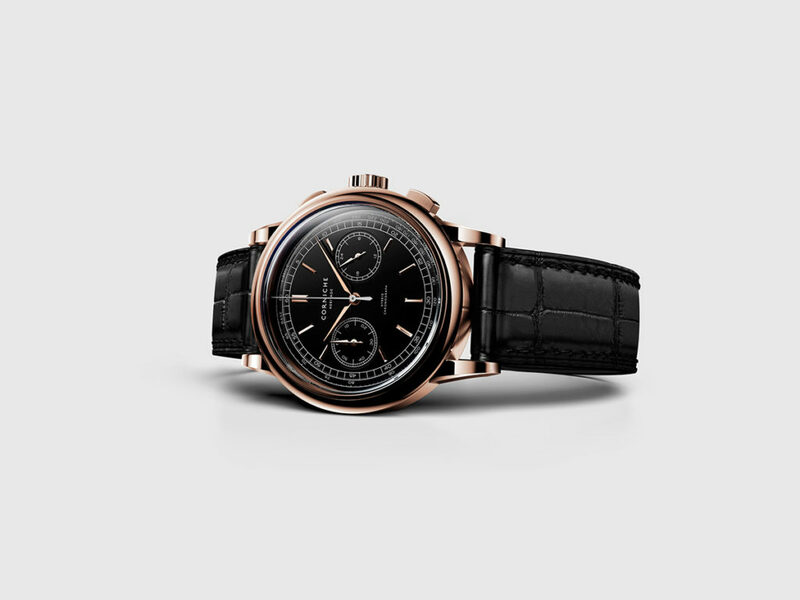 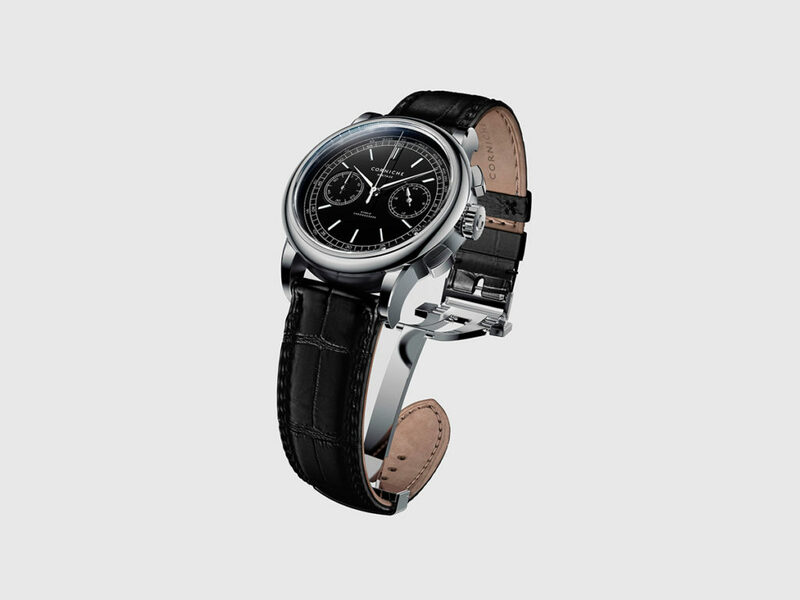 Powered by a Seiko hybrid meca-quartz movement (the accuracy of quartz combined with a sweeping second hand of a mechanical watch), the Corniche Heritage Chronograph features a gorgeous ceramic dial with applied markers, a scratch-resistant sapphire crystal, and 50 meters of water resistance.